Weekend is back, and we are here with our weekly roundup topic on major mobile apps that influencing the world today. Smartphone has become part and parcel of everyone life. They don’t act only for communication; today smartphones work for multiple needs and help us to solve a variety of our day to day issues. Also, smartphones have become an integral part of every business. Well, mobile apps are little, self-contained programs, used to enhance existing functionality, hopefully in a simple, more user-friendly way. There are many apps ready in the market that fall into many different categories. The industry has passed a long way since then, and now the mobile users can perform complex tasks such as invoices raising, flight check-in, tracking daily workouts, news updates, chat with friends via social networking or even booking hotels in the last minute for holidays there is an app out there to help you. For instance, the website may have a variety of apps for mobile devices, allowing communication between the phone and the site itself, allowing the user to sync data using the internet. Some apps can be used to control digital video recorders to set shows to record or play, while still other links to cable or satellite systems and allow premium television content to play in mobile phones. In general, these apps classifies into three different categories like Native, hybrid and web. All the apps generally run on Android, iOS and Windows 10. These are known as operating systems or platforms. Native apps are developed to target one specific platform like Android, iOS or Windows. Hybrid apps are designed to target multiple platforms whereas web apps are mobile-optimized web pages that look like an app. Go through our article and here we will outline the five types of mobile apps to help you define to which category your mobile app belongs. Let us start with content. In recent years, lifestyle apps have come on strong as it covers plenty of everyday human activities and interests. Lifestyle app is the one that stimulates or supports the individual facets that define your lifestyle. From shopping, Fitness, dating, food, music, travel tracker to fashion, virtual fitting room and even weight loss. The beauty of this apps is that once they’re a part of a user’s lifestyle repertoire, they’re likely there for a useful purpose. Most of the lifestyle apps are unique and gives the customer something they can’t find anywhere else. These apps are perhaps the most widely used type of Utility mobile applications which are used daily by literally every one of us, but we don’t even realize it. We never think that these all as an app. These apps came pre-installed in the devices, and that serves the single function. These apps let’s user to solve a particular problem or accomplish a task, usually the one we face day in and out. It’s all about fundamental issues which can be resolved easily and quickly. Using these app ones can save time and effort. The apps that fall under this category are a calculator, clock, alarm, flashlights, barcode scanners, tools for conversion and password management, screen locks, etc. Do your best to raise the frequency of your utility app to monetize it successfully. Shorter visits are not profitable, but many of them can add up to a significant revenue stream. Navigation Apps are the best apps that help the user to find their way and plan their routes. Navigation apps’ purpose is 100% crisp and clear, as the title suggests – to make our travel more relaxed, more comfortable with the navigation app. They help in driving and walking assistants, map applications, and many more. News apps provide content that typically finds in newspapers, magazines or other periodicals. These apps will be very straightforward as they offer their users with the news that they are looking for in an accessible and understandable manner with efficiently navigating them to the things they care. The main agenda of the app is to offer users the information that is rotating in the current situation in various areas of interest from politics and entertainment to technology, business, science, and others. So these apps provide content in a way that the newsreader or digest format. It will be the first media outlet with continuous updates. The apps that fall in this category are TV, radio news, RSS readers, news programs and many more. These apps are also named as Productivity apps and are the most significant & most demanded apps. These apps support people who closely work with business activities. They help from tracking, selling, buying, to sending emails, provide functionality for collaboration, resource management, and planning. 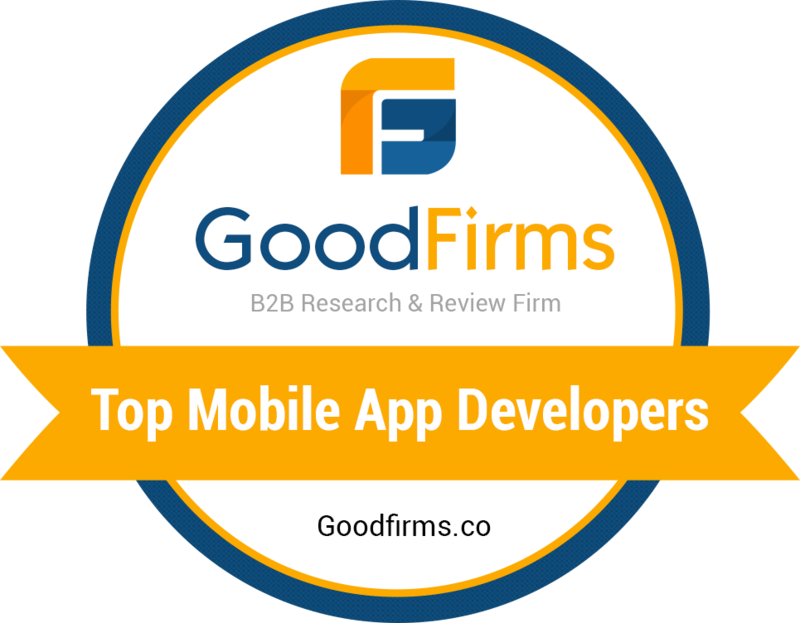 These Business apps are mainly designed for B2B and B2C only. The primary goal of these business apps is to provide enhancement and increase in productivity and reduce the expenses for the business. It is intended to offer maximum convenience and widen audience pool in the market. Now you got all about the major categories of mobile apps on the market. It was clear from this blog that can determine to which group your app fits and the way to support your app will make your application stand out from the crowd. Being a developer, you can decide for any type of app to build, but your aim must offer usability and engagement to the end users. The choice of an app you develop is dedicated purely from the type and requirements of your business. Krify has been stepped in business mobile app development for about 10+ years now. We have a highly equipped and experienced team of mobile app developers, who provides the best-customized business apps on various platforms such as Android, iOS and Windows. If you are seeking for business application development company, talk to one of our delegates or fill up the contact form with your needs and we will get back to you with 24 hours.